Exterior view of the Turvill house and garden. A man and woman are working in the garden near the Turvill home. The woman, wearing a bonnet, is bent over working, while the man stands next to her with a gardening tool in his hand. 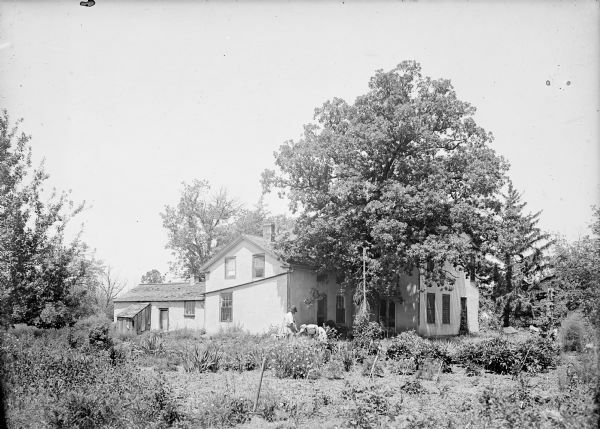 The garden is in the foreground, with trees surrounding the house.